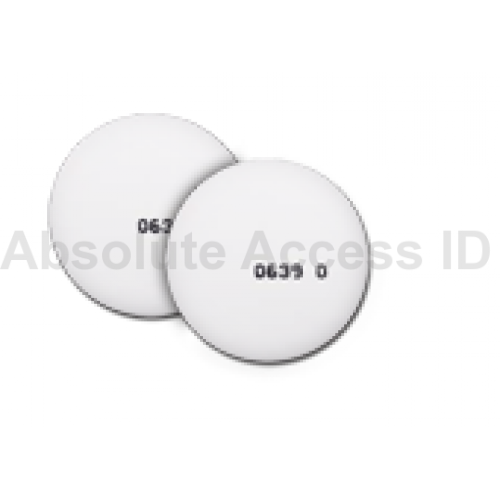 Farpointe PDT-1-A AWID Compatible Proximity Adhesive Disc. Based upon proven contactless digital radio frequency identification (RFID) technology, Pyramid readers interface with a wide range of electronic access control systems by complying with the Wiegand communication protocol. They offer value-add features such as MAXSecure™ and fleaPower™, and can be ordered to support several proximity card and tag technologies. Additionally, Pyramid cards and tags are passive devices, eliminate maintenance by requiring no battery, and can be ordered to support several proximity reader technologies. 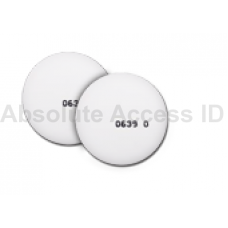 Guaranteed best and Lowest price with FREE shipping on genuine Farpointe PDT-1-A Proximity Adhesive Disc (AWID Compatible) @ Absolute Access SHOP US & COMPARE! Our pricing on the Farpointe PDT-1-A includes customized programming to your specifications.